"I" refers to the group of NSAIDs (non-steroidal anti-inflammatory drugs). The active substance is diclofenac. Analogues "Voltaren" are all drugs based on it. Diclofenac sodium has good anti-inflammatory, analgesic and antipyretic effect. This action is due to inhibition of the biosynthesis of prostaglandins, which, in turn, provoke inflammation, pain and fever. There are more than ten substitutes to "Voltaren" on the basis of diclofenac. The most famous among them "Diclofenac", "Diklak", "Dtlogin", "Dicloran", "Diclofenac retard", "Diclofenac-akri", "Naklofen" and "Ortofen". Are all these drugs manufacturer and pharmaceutical form. The most popular equivalent of "Voltaren" – "Diclofenac". Available in the form of tablets, suppositories, solution for injection, eye drops, gel, cream and ointment. Produced in Russia and in foreign countries. The German drug "Diklak" is available in tablets, suppositories and the gel for external use. "Dicloran" made in India "Naklofen" in Slovenia. He "Voltaren" is made in Switzerland. 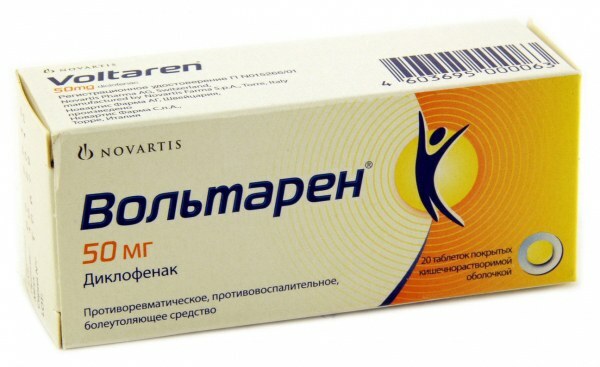 "Diclofenac", produced in Russia, is the most accessible analogue of "Voltaren". Provides the necessary anti-inflammatory and analgesic effects. Available in most pharmacies. "Voltaren" effectively relieves pain of rheumatism, arthritis and arthrosis, gout. Relieves swelling and sports injuries, bruises and sprains. Eliminates migraines, helps with pain in the back, muscles and joints. Reduces blood loss and inflammation in gynecological diseases, dysmenorrhea and adnexitis. Categorically excluded external application "Voltaren" children under the age of 1 year, intramuscular injection for children up to 18 years. You cannot use "I" inside ulcers of the stomach and duodenum, colitis, and exacerbation excluded even external use. The drug is forbidden to be treated during pregnancy and breastfeeding. "Candide" is not recommended for use in women wishing to conceive and patients on the treatment of infertility. Breastfeeding treatment drug banned because it passes into breast milk. Caution it is recommended to use "I" and its analogs in liver diseases and kidney, bronchial asthma. Do not combine these drugs with alcohol. Not advisable when driving a vehicle, as it can be dizziness and loss of coordination. The use of "Voltaren" or its equivalent analogs can be started only on prescription. You must consider the medications being taken by patient with him. For example, it is undesirable to apply "Voltaren" with diuretics, anticoagulants, hypnotics and antihypertensives, as it in a certain way affects their performance.